Fresh English lavender bundles will be available Saturday and Sunday at the Ya Ya Farm and Orchard west of Longmont just off Hiway 66. Buena Vista lavender bundles will be available. This variety does double duty, enjoy it as a fresh bouquet for 5-7 days in shallow water, then turn it upside down and let it dry for another 5-7days. 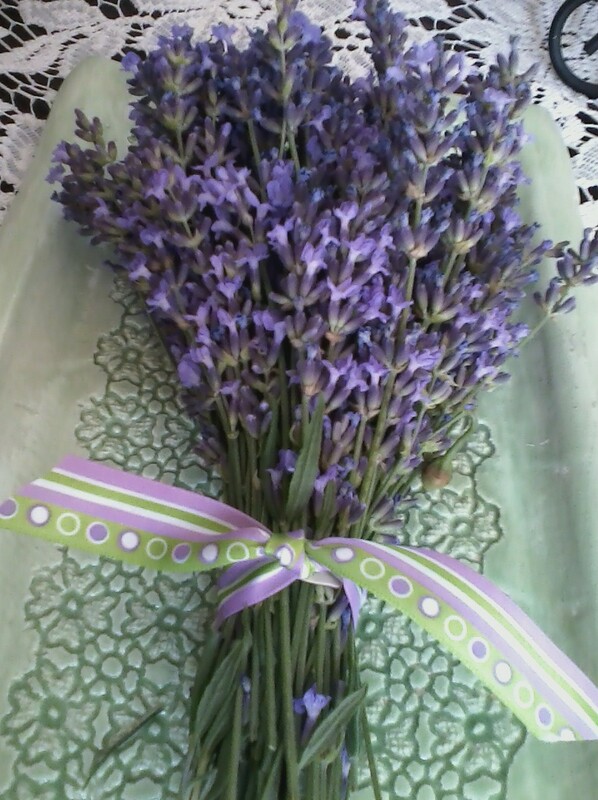 The fragrance, fresh or dried, is a marvelous sweet gentle lavender. Buena Vista is very popular for culinary use as well. The fresh or dried buds are used for a variety of lavender recipes. My favorite this time of year with the recent heat is lavender lemonade, made with lavender simple syrup. (see recipe tab) A nice refreshing drink in the shade after an enjoyable activity outside.